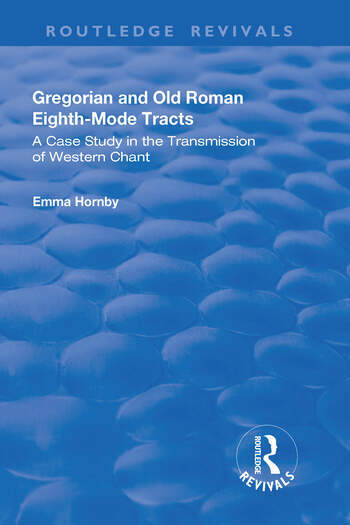 This title was first published in 2002: This text uses detailed analysis of the eigth-mode tracts in addressing some of the still unresolved questions of chant scholarship. The first question is that of the nature of the relationship between Old Roman and Gregorian chant, the second, of the relationship between oral and written modes of transmission in the ecclesiastical culture of the Middle Ages. Also, the Middle Ages saw a transition to a culture more dependent on writing. The book investigates the effect this transition had on the way eighth-mode tracts were understood by those who performed and notated them.